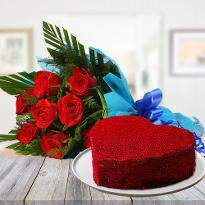 Valentine day is the perfect day to show your loved one how much you love them. 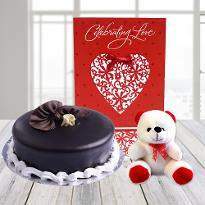 With Winni, you can send Valentine’s day gifts online and express your love towards them. 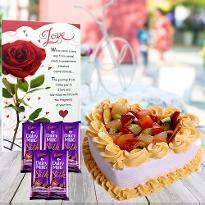 You can send them flowers, cake, chocolates or dry fruits, etc from Winni. 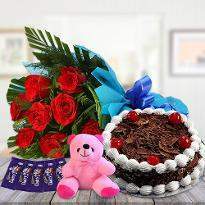 With Winni, you also get the options to place your order in advance, or you can also send gifts on the same day anywhere in Jalandhar. 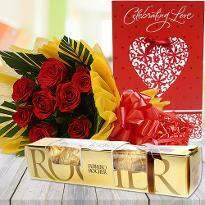 So place your order and let your Valentine gift be the token of you love. 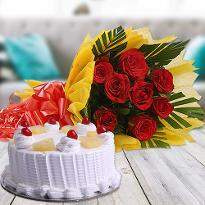 Gifts play a very vital role in your life to build a strong relationship with your near and dear ones. 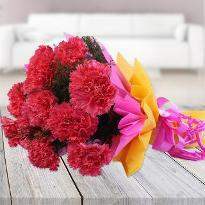 They bring a thousand of the smile on their face and enhance your relationship. 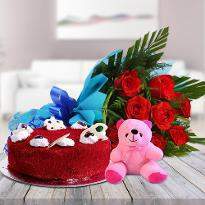 As a Valentine's Day is coming and you all are planning to make it more special, did you think Which Valentine's Day gifts to buy for your special one? If not! 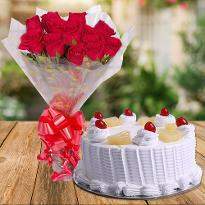 Just look at our website, we provide the vast range of gifts for this beautiful day and online services in Jalandhar as well. 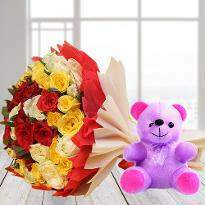 With this, you can send your Valentine's Day gifts to the one residing there. 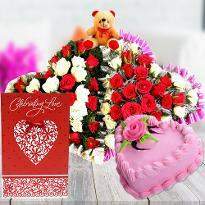 Now you can celebrate this day of love together even you both are miles away from each other by sending Valentine gifts. 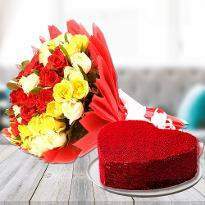 Valentine's day is a perfect day to show your love, care and affection towards your love mate. 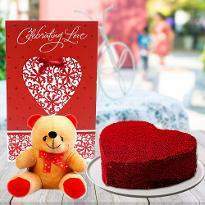 Pick the best gift for him/her from our collections and say “I LOVE YOU.” All these gifts are made with high quality of materials. 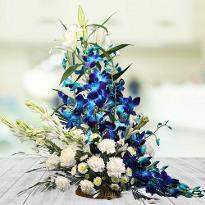 The lovely arrangements surely win their hearts and help you to get an appraisal from them. 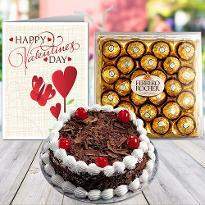 Enhance your bond by sharing some beautiful memories with Valentine's Day gifts. 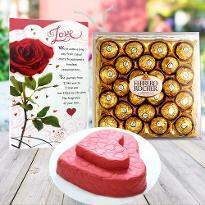 Give your token of love and add magic to your love life. 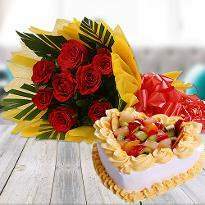 We are here to keep you in touch with your special one. So, don't think about the distance! 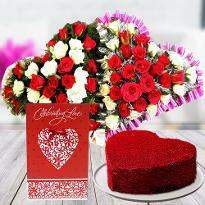 Place your order of Valentine's Day gifts and send to Jalandhar. 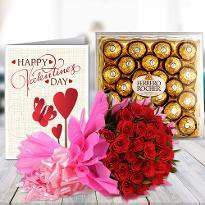 Valentine's Day is the lovely day for all lover in which they show their genuine feelings to their special one in a romantic way. 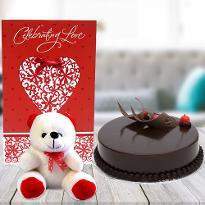 If you are away from your loved one who is living in Jalandhar, then take the help of Winni’s online delivery services and deliver your Valentine's Day gifts to them in Jalandhar. 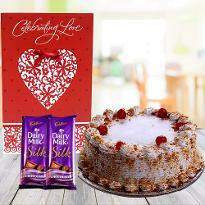 Now you can mark your presence by sending these gifts online from us. 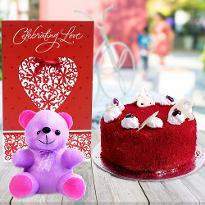 Winni is the best platform for you if you want to send your gifts online. 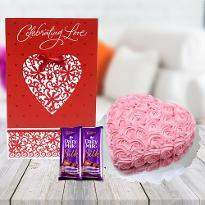 Our stunning range of these gifts made with keep in mind Valentine's Day and these gifts are variety of cakes, chocolates, teddy bears, crystal gifts, home decor item, gift baskets, men accessories, handbags, clutches, gold plated items, personalised cushions, personalised mugs floral gifts or different gift combo. Make this 2019 memorable one for your love mate and get a healthy relationship ahead. Now there is no reason to see their gloomy face on this lovely event. 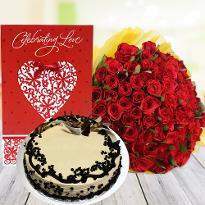 Make your loved one feel special on this event and grab the best ideal gift for them. 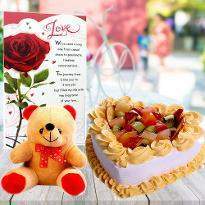 Make promises of love, faithfulness and supporting each other till the last breath and share gifts. 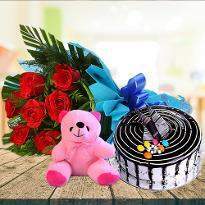 We promise to deliver your gifts at your convenient time and without any hassle. Spend a quality of time with each other on this beautiful day. Products in this category have been rated 4.9 out of 5 based on 88 reviews.